I saw my first of the year yesterday, but this guy is much more photogenic. 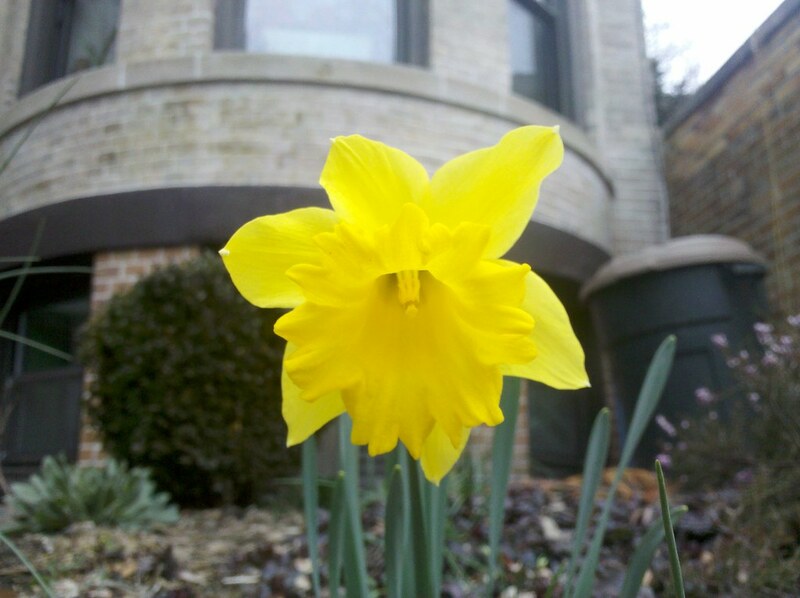 Nothing says spring better than a cheerful daffodil on a gray day. We have hundreds in bloom in our garden now. Hi Mom, Send us some pics of your garden! Good to have a your comments of all of Matt’s pics. Yea, can you believe it….daffodils the first days of March. I always wanted to live in Florida!